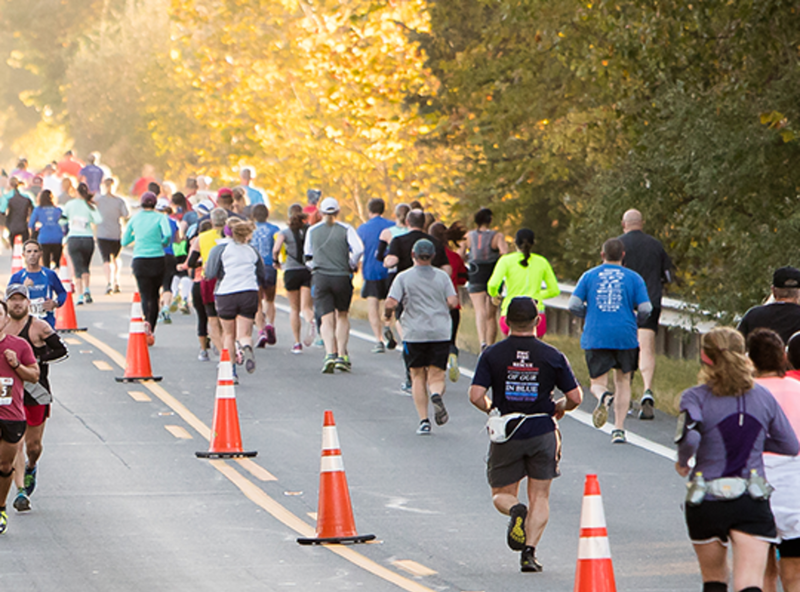 The Novant Health UVA Health System Prince William Half Marathon & 5k offers runners a unique racing experience. The race start is staged at Jiffy Lube Live – the premier live entertainment venue in Prince William County in Bristow, VA. Here runners can enjoy a race village atmosphere complete with live music featuring several local bands, food, beer garden and more. Runners will make their way to, and travel through, the Manassas National Battlefield. All roads on the course are paved. Upon your return to Jiffy Lube Live, the race celebration will be in full swing, welcoming you back after YOUR PERSONAL BATTLE and more importantly…personal victory!